QAD provides a complete solution for Engineered Material Manufacturing (EMM) that supports collaboration across planning, manufacturing operations customer service. It is simple to configure and may be deployed in the cloud or on premise. Several leading engineered material manufacturers successfully utilize the QAD solution. 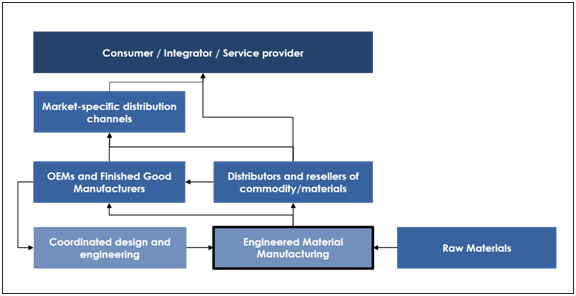 The value chain for EMM varies between products delivered in standard formats for consumption by multiple customers and products customized for specific manufacturers and OEMs. The variation affects the sales channel for delivering the product and the level of interaction with the customer consuming the products. 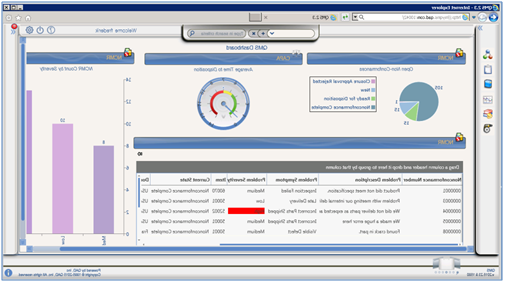 The QAD EMM solution consists of full-featured ERP that includes global financials and planning and scheduling workbenches combined with capabilities like shop floor data collection, demand and supply chain planning and quality management. 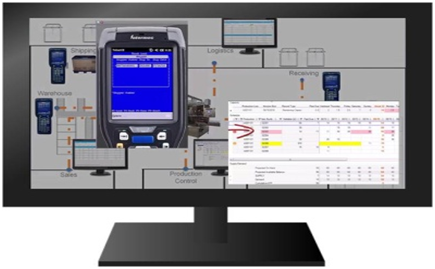 QAD designed the solution specifically for make-to-order, high mix production environments. Reduce Sales, General and Administrative (SG&A) expense and Cost of Goods Sold while improving Operating Income Margin by more effective planning and scheduling. Enhance Supplier Performance, CAPA Efficiency and GMP Compliance with fully integrated quality management. Untapped capacity is a lost order − every nonproductive hour of machine utilization could be turned into the servicing of another customer order. Underperformance on client deliveries – DIFOT − affects the manufacturer’s ability to grow organically with key customers and restricts the pursuit of new customers. Delivery: EMM organizations must deliver 100 percent on time and therefore are effective in automatically integrating customer requirements in their ERP. EMM’s leverage ERP to automatically schedule to the shop floor and minimize the use of manual systems or spreadsheets that limit collaboration across the supply chain. Operations: Effective EMM organizations must optimize their operations by focusing on quality, cost and delivery. Planning and Scheduling Workbenches generate more reliable production plans, manage exceptions proactively and respond to changing conditions. Improving production plans directly impacts on Manufacturing Schedules, Manufacturing Efficiency, Asset Utilization and Inventory Effectiveness. Supplier management helps evaluate and select suppliers based on their ability to supply product in accordance with requirements. Supplier performance increases when suppliers are consistently evaluated, monitored and measured. For more information on how the QAD Engineered Material Manufacturing solution can help your company, please contact QAD at +1-805-566-6100 or email info@qad.com.